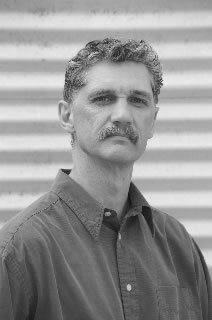 Robert Wallace of Durham is the winner of the 2010 Doris Betts Fiction Prize competition for his story "As Breaks the Wave upon the Sea." Wallace will receive a prize of $250 from the North Carolina Writers Network, and his story will be published in the North Carolina Literary Review's 2011 issue. 82 stories were submitted to this year's competition. Wallace is a recipient of an Emerging Artist grant from the Durham Arts Council and a Writer's Fellowship from the North Carolina Arts Council, and he has been a Blumenthal reader. He has had fiction and nonfiction published in various venues, including, among others, the Wellspring, The O. Henry Festival Stories, the Raleigh News & Observer, and the anthology Racing Home: New Short Stories by Award Winning North Carolina Writers. NCLR Fiction Editor Liza Wieland selected Wallace's story from ten finalists, saying, "As Breaks the Wave upon the Sea" is a beautifully woven, deeply affecting story (I wept as I read it, and so did my husband). The language is simple and direct; the relationship between a returned Iraq War soldier and his wife is depicted in all its wrenching complexity, from both points of view, in short sections that sing like prose poems. The result is a pitch-perfect whole, and one of the best stories I've read in a long, long time." Wieland also noted Wayne Johns's "Where Your Children Are" and Susan Snowden's "Revenge" for honorable mention, saying of Johns's story, "I confess a personal attachment to this story, having grown up in this part of Atlanta and written about the child murders myself. Mainly, though, I love this story for its language: ‘easing into the backyard as into dark water'; ‘orange-tinged moon was snared in the pines'; ‘the last light shifted through the leaves like a kaleidoscope.' The story's final line evokes the threat that quivers through the entire story. I admire, too, the way the writer has made the awakening of sexual identity a part of this story that works seamlessly with the history we all know. This is clearly a writer of terrific talent." Of Snowden's "Revenge" Wieland says, "I admire this story for its sense of place and culture (the Talmadge ham versus the cooler of shrimp), and for the writer's ability to juggle such a large cast of characters. I feel every bit of Carolyn's anger and disbelief, and I very much enjoyed (and would have loved more of) the way the story calls into question our assumptions about high (portraits of venerable ancestors) and low (pastel Pekingese) art." Also of note is that finalist Julie Ann Davis's story "Taylor's Creek" was recommended by the NCLR editors for publication in the eastern North Carolina-based, online and print magazine IBX Lifestyles, and it will appear in the spring issue. Six other stories were finalists in the competition: Joseph Francis Cavano's "Soldiers," Carol Cooley's "Jude and Ms. Martha," Carol Roan's "The Streetwalker," Merry Elrick's "The Rhubarb," Doris Monica Iarovici's "Among The Ruins," and "The Neighbor's Dog" by Thomas Wolf, who received the Betts Prize in 2007. A two-year subscription to NCLR will include the 2010 issue, featuring the winner and two finalists from the 2009 Betts competition, as well as the 2011 issue, featuring the winning story from this year's competition. Go to www.nclr.ecu.edu/subscrip.htm for subscription information, and subscribe by June 1 to avoid postage charges.